After watching the film based on this novel and really enjoying it, I felt it was necessary to read the novel! I have read a few of Gaiman's books before and have loved their creativity, so I had high hopes for this one. A common theme in all of his novels seems to be the gothic nature in which he writes. I love this aspect and found it to be quite prominent in this novel. This is very different to the film adaption, which isn't gothic at all but more imaginative and fantasy based, so I did enjoy hearing it from a darker side. The story line was definitely intriguing so I found myself reading the book quickly! There were many twists, especially at the end which some aspects could be seen as predictable (for instance the romance part) however other sections I wasn't expecting! I loved the ending for this reason. As for the characters, these were wonderfully creative and easy to relate and connect to. Some characters, like Tristan really developed throughout the novel and this was lovely to read about as he grew from a naive boy to a gentleman. Some of them followed with the gothic vibe, such as the witches, which was also interesting to discover. Overall this was an enjoyable book to read and I would recommend. 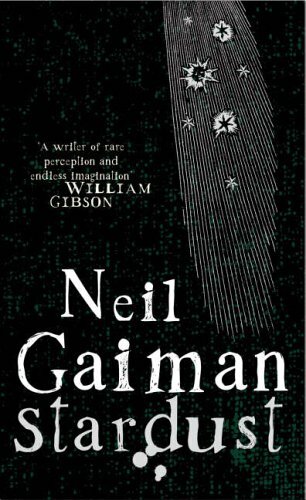 The fantasy world created by Gaiman is incredible and easy to lose yourself in. Compared to other novels I've read by him, I wouldn't say this is his best book, but definitely worth a read!